(12-15-2017, 10:55 AM)Ikerepc Wrote: How did you installed it and does problem appears for default theme too? (12-15-2017, 11:19 AM).m. 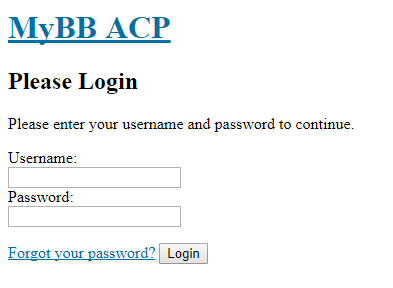 Wrote: which ACP theme you are using ? does it appear normal within the admin control panel ? (12-15-2017, 11:46 AM)Ikerepc Wrote: Well it is recomended to keep your software up-to-date. Current time: 04-18-2019, 01:34 PM Powered By MyBB, © 2002-2019 MyBB Group.